After a disappointing start to the year with some harrowing results and performances to match, Huddersfield Town’s fate was still far from decided. What quickly became obvious was that it would now go to the wire, especially with a resurgent Southampton side and West Bromwich Albion threatening to do the impossible. Everything boiled down to the run-in. Ten games over the course of March, April and May would determine whether Town would secure their Premier League status for another season or whether it would ultimately result in anguish and heartbreak. It is these games and the moments which unfolded within these games which did not only shape Town’s season but they will also live long in the memories of Town fans, in what was a remarkable return to the top flight. It was always going to be a big ask for Town to go to Wembley and replicate their heroics of last May, albeit with the reward of three priceless points rather than promotion to the promised land. However, on this occasion, Town were facing Mauricio Pocchetino’s Tottenham Hotspur side. A side which simply had too much for Town to keep up with them. Despite having a star-studded line-up, it was one of the unsung heroes Heung-Min Son who proved to be the difference between the two sides. It was his well-taken brace which confined Town to another defeat on the road. The first came in the twenty-seventh minute, having evaded his marker and Town’s high line, Son raced onto Dele Alli’s weighted pass to round Jonas Lossl and fire the ball into the bottom corner. The second and ultimately the decisive blow came in the fifty-fourth minute, as another sweeping move saw Harry Kane become provider. It was his whipped early cross which Heung-Min Son met expertly to guide his header past Lossl from eight yards out, ensuring that, despite a commendable effort, the contest was all but over. Over the course of the season, Town had been left to rue the golden chances that they had missed. Another golden opportunity appeared to present itself against Swansea City. The decisive moment came in just the eleventh minute as a hotly-contested 50-50 challenge between Jonathan Hogg and Jordan Ayew saw the latter follow-through and catch Jonathan Hogg high. A challenge which left referee Michael Oliver with no choice other than to brandish the red card. This red card, however, proved to be inadvertently unhelpful. With Swansea City’s game-plan being a blatant one of sitting back, soaking pressure and settling for a much-needed point in the battle for survival, the red card allowed Swansea to sit even deeper and invite the question of whether Town could break them down or not. In the end, despite having thirty shots at goal and over 80% possession, Swansea’s staunch defence stood strong and held out for what was an invaluable point, at the time. Following the disappointment of failing to break down Swansea City, David Wagner and his side almost had an immediate opportunity to respond and bounce back. However, it was one of the rare occasions where there was not a positive response, a performance which, in fact, revealed the soft underbelly that had undermined Town over the course of the season. The increasingly important first goal came in the twenty-third minute as Town failed to deal with Luka Milivojevic’s inswinging corner and James Tomkin was on hand to score from close range. Difficulties defending set-pieces had been a reoccurring theme in Town’s poorer defensive displays, the other significant flaw was Town’s inability to come from behind. Losing shape and structure, the second goal came in the sixty-eighth minute when Andros Townsend was felled by Zanka and Luka Milivojevic stepped up to dispatch the penalty to extend the lead to an unassailable two goal advantage. Needless to say, following this result, there was major concerns about a battle fatigued and weary Huddersfield Town side as fears of relegation continued to grow ever stronger. 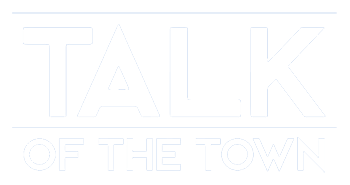 In what was far from a classic, Town found themselves in the middle of a rut. It was one that seemed to be dragging them closer and closer to the relegation zone with every passing week. Following the disappointment of Swansea and Crystal Palace for different reasons, there was a sense that the trip to St James’ Park, a place where Town had fond memories in recent years may be a turning point. However, in what was a tight and edgy game of little action or chances, the sucker punch came in the 80th minute. After Atsu’s delivery was spilled by Jonas Lossl directly into the path of Kenedy, the Chelsea loanee showed the composure to lay the ball across the six-yard box. Almost in slow motion, it was Ayoze Perez who appeared unmarked in the centre of Town’s stationary defence to place the ball into the empty net, a goal which ultimately condemned Town to defeat. It proved to be a goal that Town would be unable to recover from despite a late Scott Malone chance, meaning that Town’s increasingly long search for a much-needed victory continued. In an error-strewn game between two newly-promoted sides, it appeared at first the game would be another question of what might have been. The first mistake came in the twenty-ninth minute, following a speculative Solly March effort from distance, Jonas Lossl misjudged the strike and turned it onto the post which unfortunately rebounded off the Danish goalkeeper and into his own goal. However, only three minutes would pass before Steve Mounié was on hand to spare Jonas Lossl’s blushes and make amends assuring Town would be leaving the AMEX Stadium with a vital point, at the very least. Another mistake led to another goal, this time it was Shane Duffy who was at fault. The Republic of Ireland international inexplicably found Steve Mounié rather than his own teammate with a wayward pass and the Beninese international took no prisoners as he rounded Mathew Ryan and turned the ball into the empty net. Whilst Town couldn’t capitalise on their one-man advantage following Davy Propper’s late challenge (once again on Jonathan Hogg), it was another point which felt massively crucial and proved to be exacly that. This game had quite literally no important moments to talk about apart from Tom Ince’s goal so this moment was probably the easiest one to pick out. After 90 minutes of one of the most boring 0-0s of the Premier League season, (for neutrals that is, in the stadium it was tense-filled torture) many Town fans began to fear this game would finish in a draw. It would also have potentially season-defining consequences for our survival in the Premier League. However, just when we and perhaps so many outsiders thought Huddersfield Town’s proverbial goose was cooked, the unlikeliest of heroes stepped up to the mark. For most of the season, Tom Ince had played the role of a plucky but unfortunate figure who didn’t quite have the quality or composure needed to be a success story. And yet, like every underdog hero, at the vital moment, it was Tom Ince who was there to slot home a toe-poke cut-back by centre-half Mathias ‘Zanka’ Jorgensen and send the John Smith’s Stadium into utter delirium. This result could very well have been the most important one of our season in defining whether we finished above or within the relegation zone places. After the euphoria of the Watford game, Town fans, players and David Wagner all knew that three more points would probably be enough to seal our survival in the division with three games to spare. With those three games remaining being Man City (a), Chelsea (a) and Arsenal (h), at the time, a result against Everton appeared crucial. However, the performance that Town put in that day didn’t appear to convey the magnitude of this game. It was a lacklustre, lethargic and slow performance with no hallmarks of the aggression, work-rate and high-tempo we normally come to expect from David Wagner’s men. After a Cenk Tosun break-away goal in the first-half gave Everton the lead, Town pushed for an equaliser in a largely toothless fashion but it was Everton’s second which killed the game off. Mid-way into the second-half, another break-away gave Leighton Baines the chance to pull-back to an unmarked Idrissa Gueye just inside the Town penalty area, who coolly slotted past Jonas Lossl, ending the game as a contest. This is excluding the fact that Town never really looked like scoring or that Everton had several other clear opportunities to score late on. Before this game, some pundits were suggesting cricket score predictions of what might happen to us (*cough Graeme Souness *cough). Whilst many Town fans didn’t think we would get annihilated, largely due to our heroic performance in the return fixture, I think 99% of us probably thought we would lose. What followed was our best defensive performance of the season and made many opposition fans sit up once again to back-track on their pre-conceived opinions about our team. Whilst some will point to a slightly complacent performance from Man City who had the week before, been crowned Champions-elect, nothing should be taken away from the monumental effort Town put in to deny Man City. We became the first and only team in the Premier League season to keep a clean sheet against them at the Etihad. The pivotal moment came in the first half where Town more than competed with Manchester City, after excellent work from Florent Hadergjonaj, he found Alex Pritchard in space. Shaping to shoot, Alex Pritchard’s swirling dipping effort was denied only by a magnificent fingertip save from Ederson which was a fine demonstration of how fine the margins were between the two sides. A game that will live long in Town fan’s memories and truly go down in Town folklore, there were so many moments in this match I could have picked out as the most memorable one. However, what most people would agree on is that Jonas Lossl’s save from Andreas Christensen probably kept us in the Premier League. After an excruciating game of ping-pong in the Town penalty area with the game at 1-1, several shots were fired in on goal, with blocks coming from Terence Kongolo, Jonathan Hogg and even Alex Pritchard, making the most of his diminutive frame to put his body on the line. The ball then flicked up to the Chelsea centre-back who managed to generate significant power on his header. Lossl, momentarily wrong-footed, threw out a giant right paw and flicked the ball miraculously onto the post and the ball was cleared. Sure, there might have been other moments throughout the game that I could have chosen but this defining save will go down as one of the most important moments in Town’s history. It now ranks alongside Chris Schindler’s penalty at Wembley or Steve Kindon and Peter Fletcher’s goals in the 3-1 win at Hereford United in the 1979-80 season that sealed our promotion to the old Third Division with two games to spare. Another season in the Premier League secured, this game became a romanticised farewell to Arsene Wenger. One of the first games in a few years where Town fans could properly relax and not care about the result. The downside to this is that Arsenal looked there for the taking and on another day, Town could well have rolled them over. As it turned out, the game became a sort of zeitgeist for Town’s season as a whole – missed chances, profligate in front of goal but showing plenty of effort, determination and desire to get a result. After Tom Ince missed a glorious chance to open the scoring, it was Arsenal’s £50m+ January signing, Pierre-Emerick Aubameyang who took his chance, popping up in the right place at the right time for a tap-in at the near-post. In truth, Town never really looked like scoring. In addition, Arsenal should well have scored at least a couple more on the counter-attack when Town went gung-ho in search of an equaliser. However, it was the Gabon marksman who showed his class and provided the pivotal moment of this game to give Arsene Wenger a fond parting gift.